UPDATE: For a limited time (only through Octover 7th! ), you can get a FREE Revitalizer ($65 value!) if you buy any two full-size Aveda Invati products. To get it, use code ALYSSAAVEDA and click here. 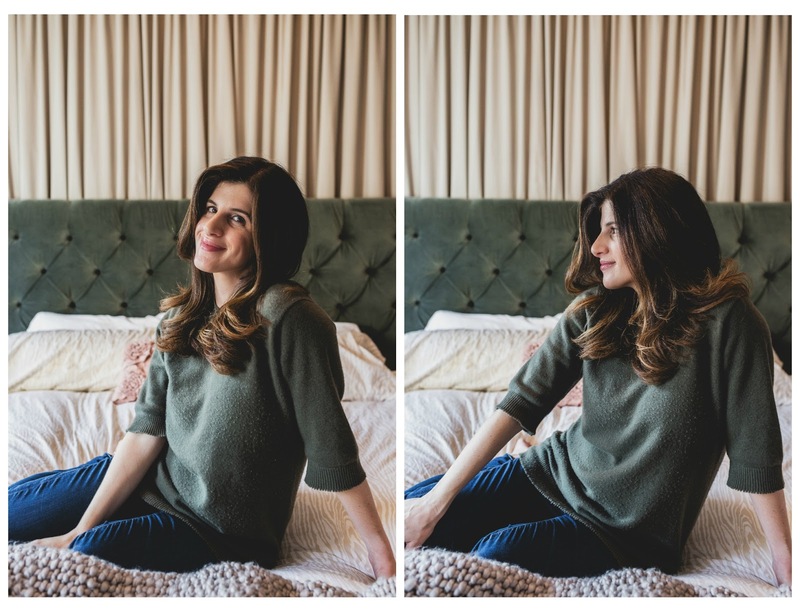 Last year, I told you about my post-partum hair issues, and you can read about them here and here, but in summary: I had kid number one, lost a ton of hair, but it came back. A few years later, I had kid number two, lost way too much hair again, and then...it didn't come back. Sure, my hair was still relatively thick (thank god I started life with a lot of it! ), but it was nowhere near where it had been pre-baby. 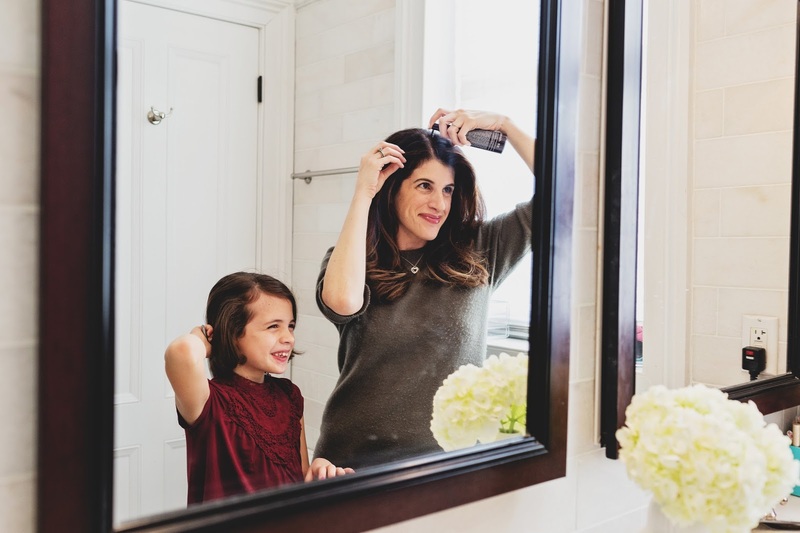 And maybe it sounds selfish to complain about lackluster hair when you have two healthy, adorable children to show for it, but 1) We all know hair is important and that it often relates directly to how confident we do or don't feel, and 2) Can't women have cute, healthy kids and good hair?!? This has been my quest ever since. As I told you at the time, I started tackling my hair issues last year with the original Aveda Invati system, and was very impressed with my results. 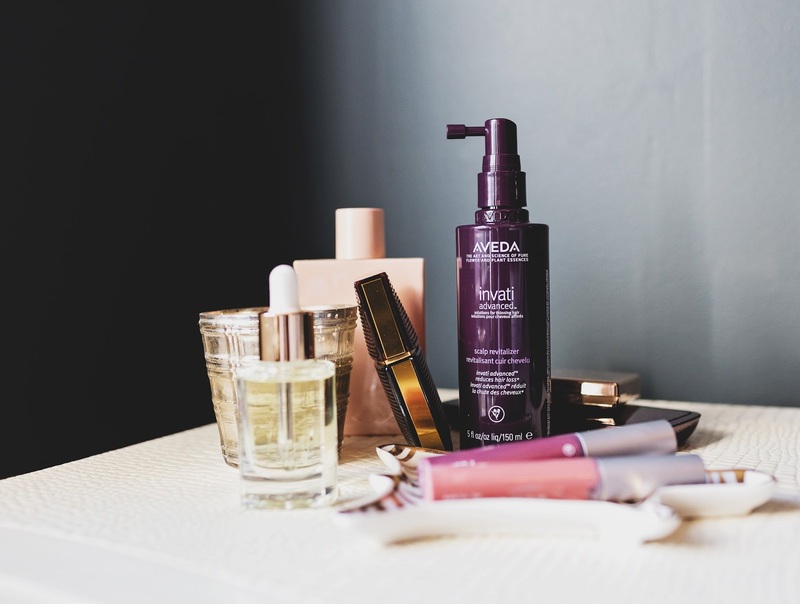 Well now, Aveda is launching a new version, Invati Advanced. 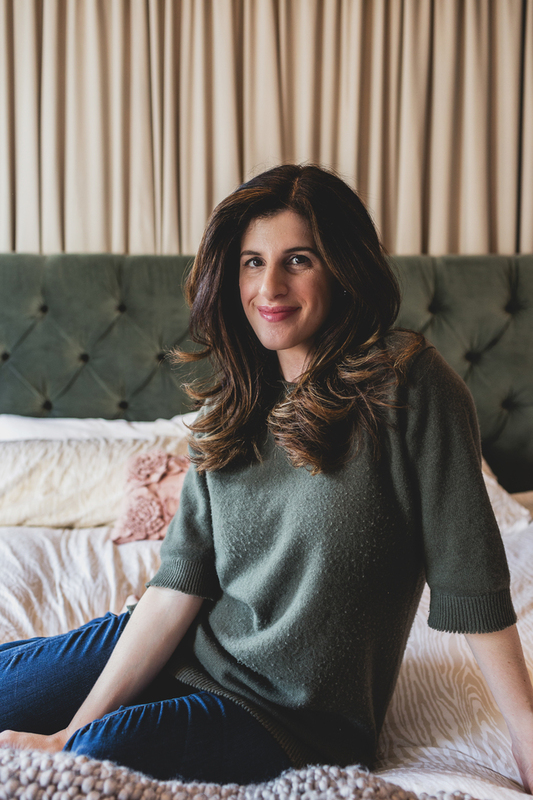 They came to me a few months back, and asked if I wanted to try it early, but there was a catch: I had to commit to a full 12-week trial--using the shampoo and conditioner every time I washed and the leave-in product every single day. As someone who basically switches between multiple beauty products for my job, it was a big undertaking. But I was excited to give the products a real, honest chance to work (and I wanted thick hair again, post-baby! ), so I signed on immediately. From then on, I carried those bottles everywhere--to and from blowout bars, workouts, on vacations--and I used them religiously. I was committed. And I experienced some pretty awesome results. About a year ago, before I tried the Invati products, my hair looked so much thinner and flatter, and my part was so huge! (WHY DIDN'T ANYBODY TELL ME??) 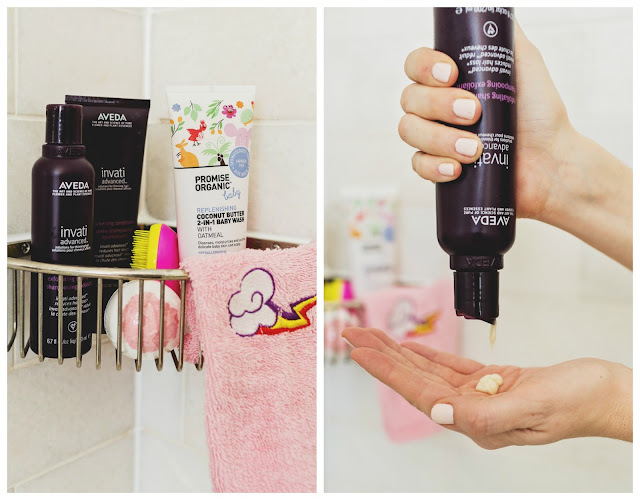 After I gave the Invati Advanced system the full 12-week trial, my hair felt and looked thicker! It had so much more volume, and my part is no longer as wide as the state of Texas. 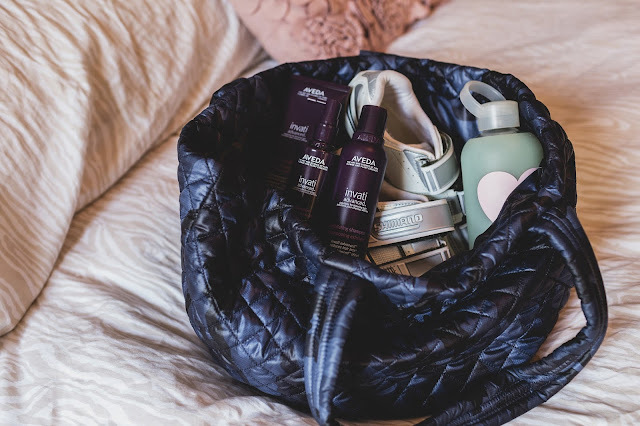 The Aveda Invati Advanced system has three steps: the Exfoliating Shampoo, the Thickening Conditioner, and the Scalp Revitalizer. 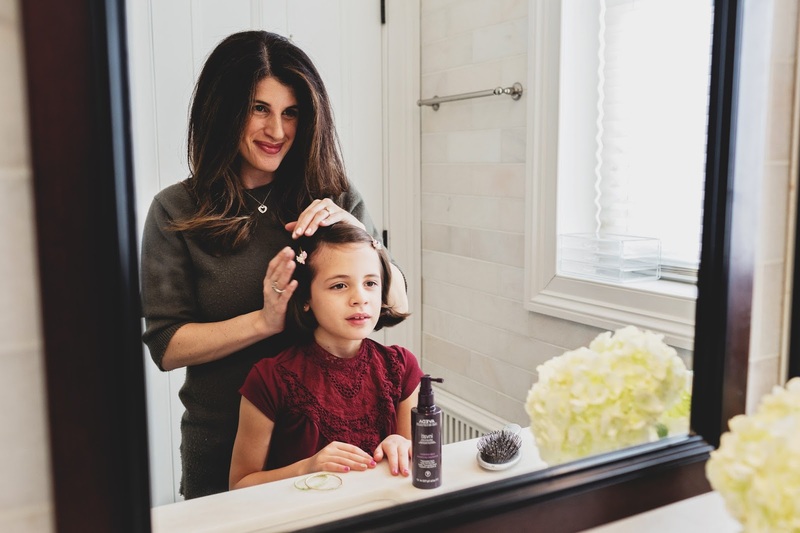 You use the shampoo and conditioner every time you wash your hair, and then the Scalp Revitalizer once every single day. With the previous Invati system you had to apply the Revitalizer twice a day, so this is a huge improvement and makes the whole thing that much easier. I love that the products are pleasant, easy, and contain naturally derived ingredients, and that the system fits so easily into your life. You're not adding a ton of steps into your beauty routine. And it works! Your hair feels noticeably thicker from the first time you use it, and over time, you start to notice that your hair is stronger and breaking less, so you're losing less hair when you brush, and that thinning spots are beginning to look less thin. Before long, you start looking and feeling a little more like the old you. Because let's be honest: It matters. Caring about how your hair looks does not make you superficial or silly or a bad mom. Hair is not just hair. 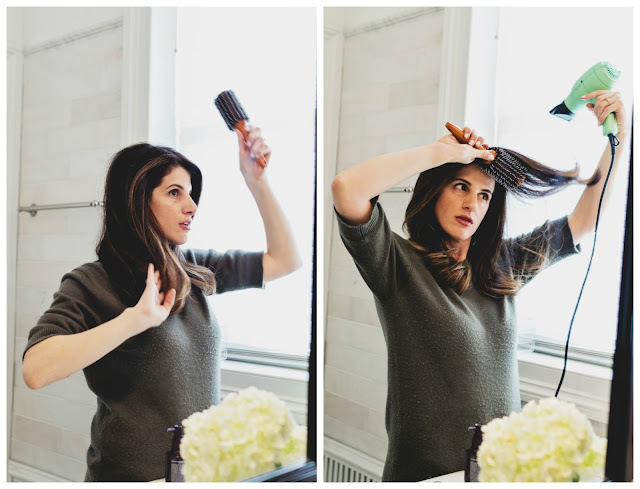 When our hair looks really good--full, healthy, and bouncy--we feel so much more confident. I know I do. And having more confidence--feeling truly, fully condident--translates into every area of your life. When I feel confident, it really seems to make me better at everything I do, whether that's writing, blogging, or being a mom. Want to try the new Aveda Invati Advanced System? For a limited time (only through Octover 7th! ), you can get a FREE Revitalizer (a $65 value!) if you buy any two full-size Aveda Invati products. To get it, use code ALYSSAAVEDA and click here. My hair is so fine. I’ve been looking for a thickening product and this one sounds perfect! Thanks for sharing. Definitely entering the giveaway. I would love to give the Aveda Invati Advanced Hair Thickening System a try and see what it can do for my hair! I have super-fine hair and are constantly trying to find a product that gives volume, but doesn't wear my thin hair down. This would be amazing to try. Since having baby #2 my hair is not the same. It is thin and I hate it. I really thought after the shedding phase it would be okay.. but no. I want to find something that will help me. That’s so good to hear you had good results! I have a friend who could benefit from this. I’ll pass it along. Yes! I also experienced a ton of postpartum hair loss. I have thick hair but I seriously cried when I saw how much hair I'd lose every time I washed it. OH my gosh YOUR HAIR looks so good. I need to try this!! While I think my hair still looks good, the texture has changed since I've gotten older. I'm also struggling now with the dilemma of being ok with my gray (of course, I have a Cruelle DeVille streak right in the front where I part it!) or continuing to color. Any help increasing the volume and the possibility of growing new hair would be fantastic! I am three months PP, and words cannot describe the amount of hair I am losing right now! I would love to try this AVEDA product as I love most of what they offer!!!! My daughter struggles with thinning hair, I'd love to win for her to try it out! I have had thin hair since I turned 50. Its sad but have tried many things. I think this might work. My hair falls out quite a bit because of a thyroid problem. I wonder if it would help me? Maybe I will have to give it a try! My hair has always been baby fine and looking for products that may help! Love this post, your hair looks FAB. I've never tried this before. Ever since I had my daughter I have lost soooo much hair, I feel like I am going bald! Your hair is gorgeous! I love Aveda too, best products! My hair has been fine all my life.. I would love to try this! I want to win the Aveda Invati Advanced products because I have very thin and brittle hair! I want to win because my hair has seen it's better days and needs some tlc to bounce back. After three kids my hair definitely needs some love! I really like the Scalp Revitalizer, to work on my scalp and that is why I really would like to win this. I want to try these products. What happens if you discontinue the products? Will your hair return to it's original shape before using the products?